Sip & Stroll is an exciting West Chester retail sidewalk sale event with special promotions being offered by participating stores and restaurants. This Saturday (August 23, 2014) enjoy great end-of-summer savings while sipping refreshments from the vast assortment of unique shops and restaurants in beautiful, historic downtown West Chester. See the shops that are participating in ThinkShopBuy. . .LOCAL (TSBL). On-street parking is FREE until 5pm, and the Justice Center Garage is always FREE on weekends. 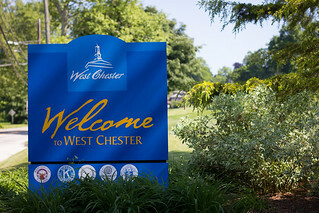 For more information visit Downtownwestchester.com.